There is a graduate student recruiting event at SFU this Thursday, November 29th from 11:00am – 1:30pm in TASC1 9204. 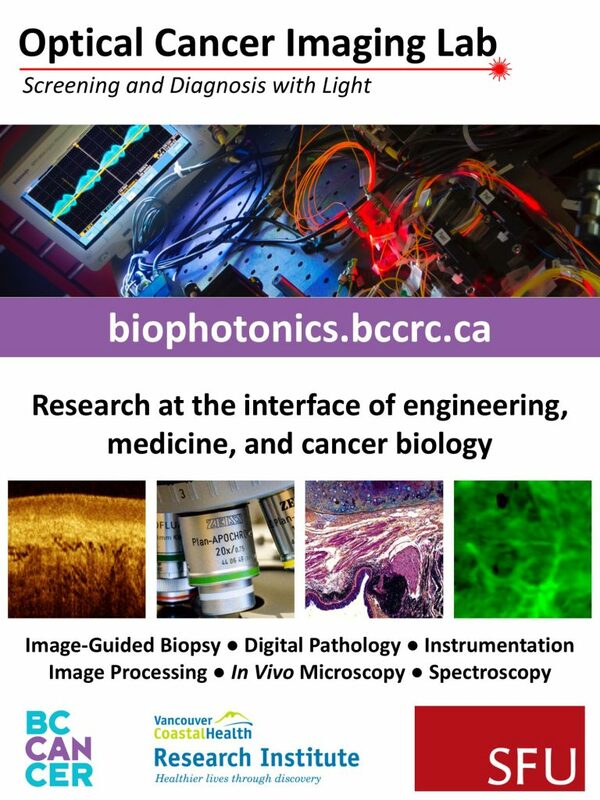 The Optical Cancer Imaging Lab (OCIL) at the British Columbia Cancer Agency (BCCA) in Vancouver, Canada, has openings for MASc and PhD students (September 2019 start). Fluorescence visualization may drastically reduce local cancer recurrence by helping surgeons better visualize the diseased area around a cancerous lesion. We are looking for new team members. Details here!